Hiring a skip can often be expensive and a nuisance. They take up a lot of room and you have to get someone to drop it off and pick it up, while loading it up with waste yourself. 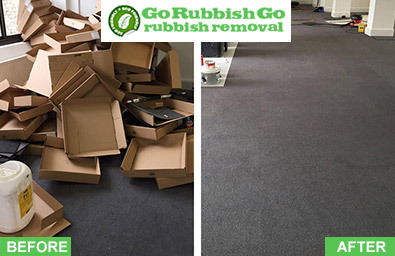 Instead, hire Go Rubbish Go – Forest Hill rubbish disposal company you can trust. We’ll turn up on time, load your rubbish into a vehicle and then take it away. We’ll dispose of it in the safest, cleanest way that’s best for the environment. We also won’t charge you over the odds, making choosing us one of the most cost effective methods of rubbish clearance in Forest Hill, SE23. Why wait? Simply call 020 8610 9182 now and talk to one of our friendly team who can advise you on your next step in waste clearance SE23. In London, there are numerous rubbish removal companies who want to charge you over the odds for their services. We’re not one of them. We understand that times are hard and keeping our customers happy is part of our service. The last thing we want to do is cheat you out of your hard-earned money. Therefore, we use our knowledge and experience to get you the best deal on waste clearance SE23. The price can depend on how much waste you have and the methods of disposal but we will talk to you one-on-one to ensure we’re both happy with the price before proceeding. Call 020 8610 9182 now for a no obligation required, free quote from one of our helpful team. 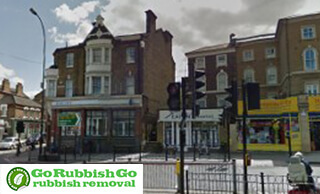 Why Choose Our Rubbish Removal Service In Forest Hill? Although most councils offer a rubbish clearance for larger items such as white goods, this is sometimes limited depending on the area you live in, amount of items you want collected, and how many times you’ve used the service before. Oftentimes, you’ll also have to wait a few days for the collection to be made, which means you have to have potentially large amounts of waste sitting outside your property for days, if not longer. With our waste collection in Forest Hill, this isn’t an issue. Book with us for a specific day and we can take your waste away whenever you like for a great price. Book now and get the best value for money in the SE23 area. I don’t have enough words to say how grateful I am to this brilliant rubbish removal company! They arrived in Forest Hill, SE23 just on time and worked very hard to clear out the place. Excellent service! Disposing of white goods and other large items in the wrong manner can be incredibly harmful to the environment. Some items contain harmful chemicals, while some are large and abstractive. Therefore, you can count on our waste removal team to get rid of your rubbish properly. We also go through the waste and recycle anything we can. So many items we throw away now can be recycled and we recognise this. Our environment is our future and remaining eco-friendly is one of our main objectives. We are also willing to advise you on how you can be more eco-friendly in your future. Simply give one of our SE23 waste disposal team a call and hire the best service, as well as help the environment. Hire Us For Waste Removal in SE23, Forest Gate Today! 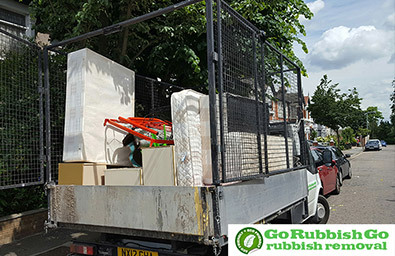 If you are thinking of or need Forest Hill rubbish removal now, why wait? Give us a call on 020 8610 9182 for the best quote for your situation. Get the best value for your money by booking with us. Not only are we knowledgeable in the area and the waste removal Forest Hill industry, but we are professional and keep to strict guidelines when disposing of your waste. Unlike some companies, Go Rubbish Go won’t breach your trust, charge you over the odds, or break the law. Simply call us today, we’ll give you a free quote and you decide whether we’re right for you. Hire us now and our service will do the talking. Forest Hill is located in South East London and it is part of the London Borough of Lewisham. Its name referred to the woodland that once covered the area. One of the most interesting places that you can visit while in the area is the Horniman Museum and Gardens. There you can see lots of anthropological and cultural collections, a wide collection of musical instruments and lots of beautiful flower gardens. Two nature reserves are located in the area – the Devonshire Road Nature Reserve and the Dacres Wood Nature Reserve. Forest Hill railway station is served by frequent trains to London Victoria, London Bridge, Croydon and Caterham.